Have you ever wished you could have been nearby when Jesus explained the Scriptures to the disciples on the Emmaus Road in Luke 24? Wouldn’t it be great to just see where this road was? Believe it or not, scholars have known its location for decades now. 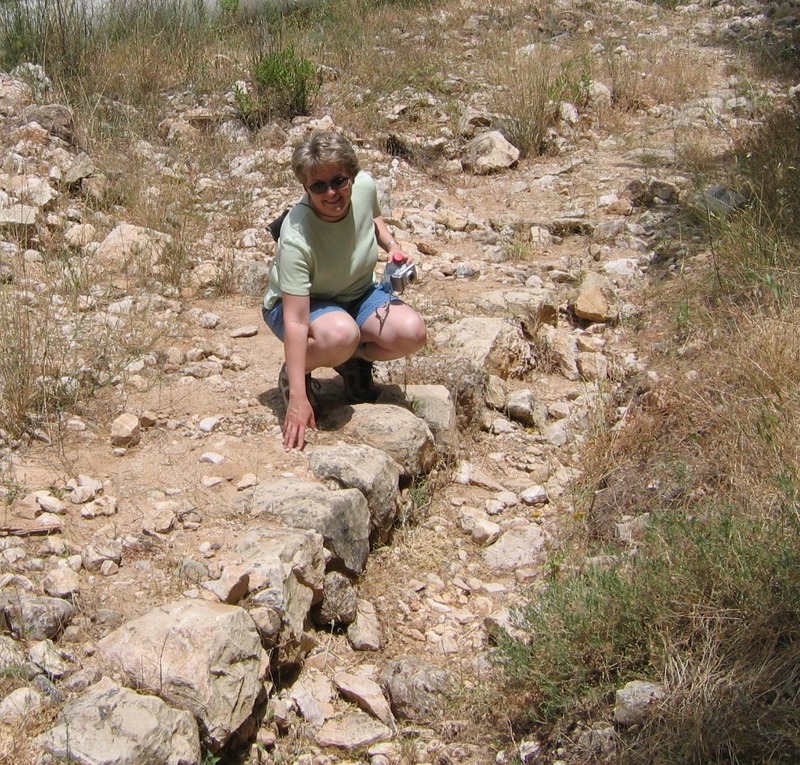 The remains of the Roman road are visible if you take a walk in an undeveloped area in village next to Jerusalem called Motza. You might think there would be some kind of Christian tourist park or at least markers pointing out the location. There’s nothing though. You just need to know where to look. You might be surprised (and maybe relieved) that there is no gift shop with holy tchotchkes nearby. The lack of interest has been a problem, though. Because no effort has been made to preserve the road, it has been crumbling in recent years. Check out David Bivin’s recent report in Jerusalem Perspective called “A Farewell to the Emmaus Road,” where he explains the historical evidence for the site. He also describes the destruction going on and includes videos and dozens of pictures taken over the years. It’s a must read! I’ve visited the Emmaus road about 3 or 4 times since 1999, and have seen the change over time myself. The picture above was from when I visited in 2006. A larger image is at this link. The road is at a critical point right now. If an effort was made, it could be reconstructed from the stones still present, but soon the damage will be too extensive. Below is some recent video footage of the area, and Bivin discusses the possibility of reconstruction. Lois, thanks for sharing. To raise money, why hasn’t some started a kick start or other campaign? I think that the necessary money could be raised quickly. I agree! I’ll mention it to David Bivin. I’ve had several readers inquire about fundraising to restore the road. There’s a lot of interest in restoration and preservation of the road. The money would flow. 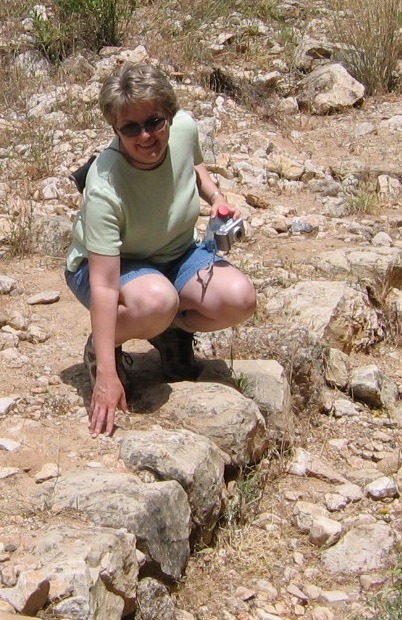 However, to restore the Emmaus road, the Israel Antiquities Authority would have to initiate a restoration project. Even if we had the cash to undertake the project, it would have to be initiated and supervised by the IAA. Donations from pilgrims/visitors worldwide, who have a heart for the land where Jesus walked, should work. Plus a Facebook page, where all of us can be involved. Perhaps we could each buy a stone, so our names could be written as a symbolic Emmaus experience.